Makes a great clip for bridesmaids or for the bride herself! Would also be gorgeous for a night out or special event. 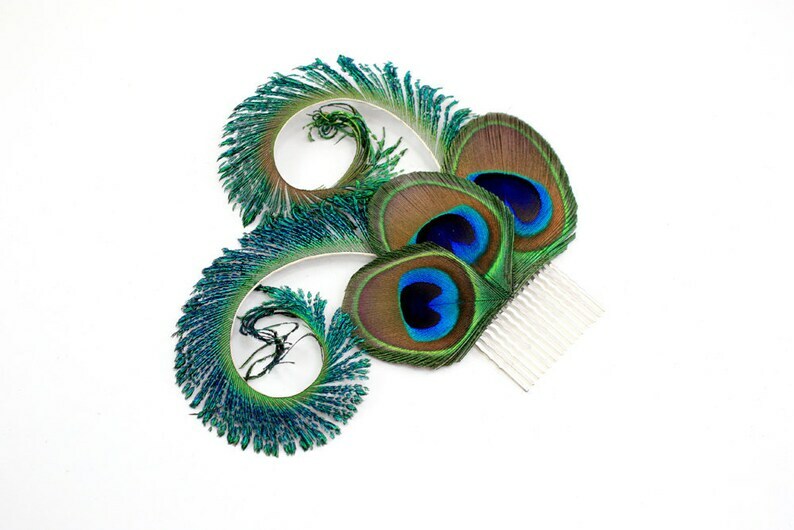 Three trimmed peacock feather in varying sized joined by two hand curled peacock swords..
An alligator clip or comb is found beneath for easy fastening.